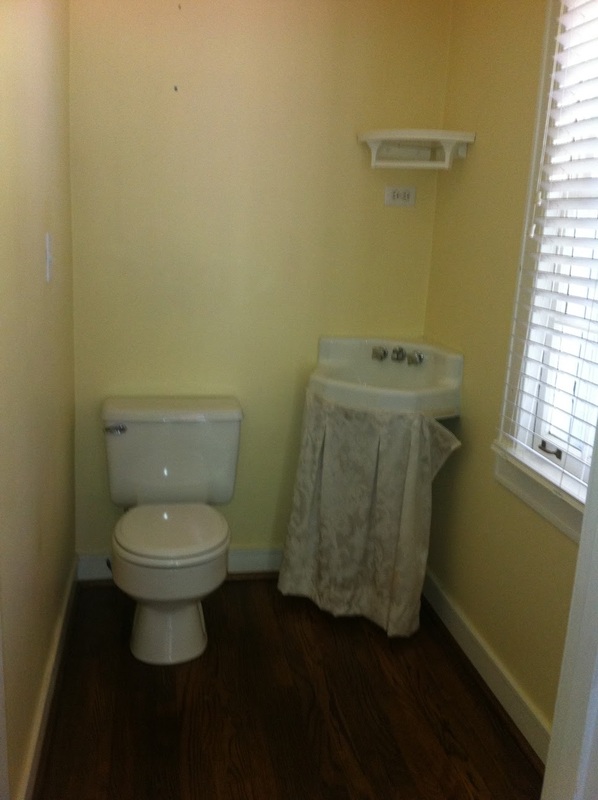 I may not have executed it all, but I at least have plans for just about every room in the new house except the downstairs half bath. Here is its current state. The rest of the house is rather neutral so I decided to go bold with this room as it’s small and low risk. I’ve got a huge white carved wood mirror for the back wall and the corner sink will soon be replaced by a square pedestal sink. 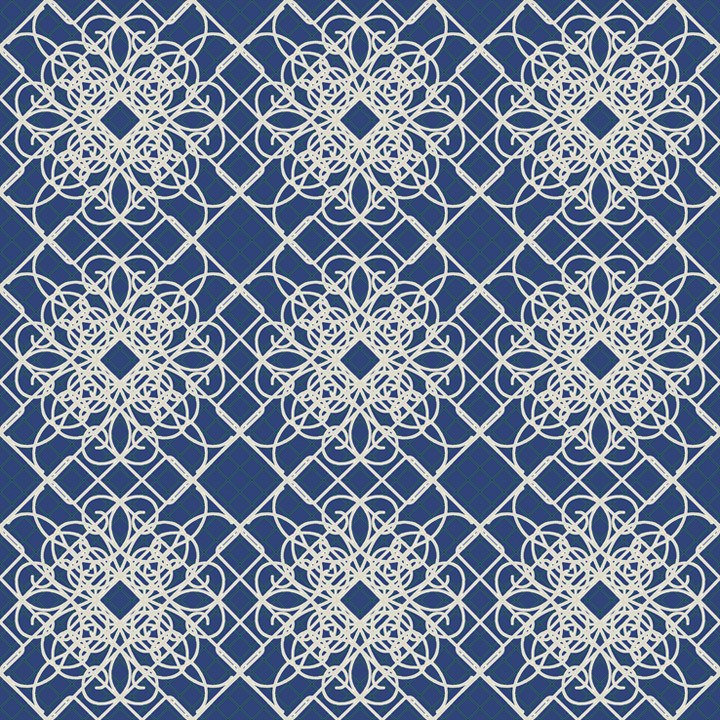 I’ve decided to go blue and white with the wall and I’ve been desperately searching for the perfect wallpaper pattern. Here are my favorites so far! 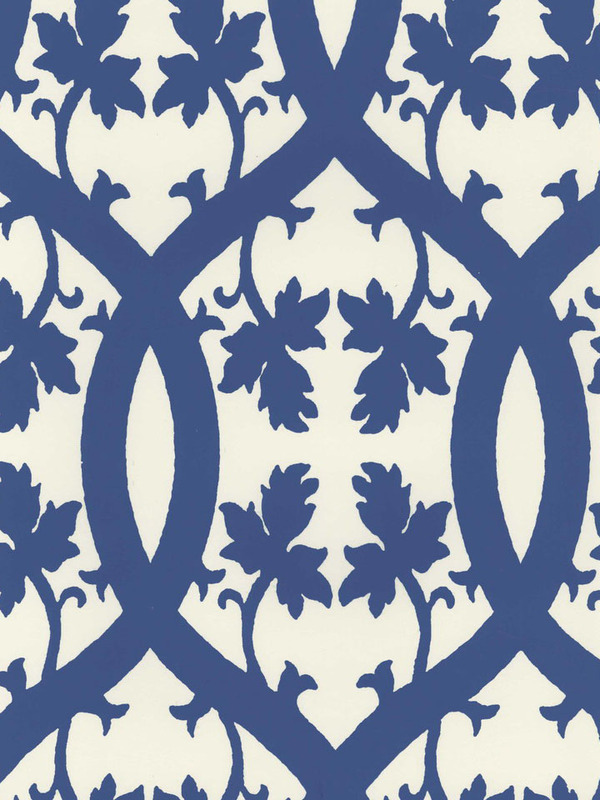 I love this wallpaper print but I’m afraid the repeat is too small and would be overwhelming in a small bathroom. 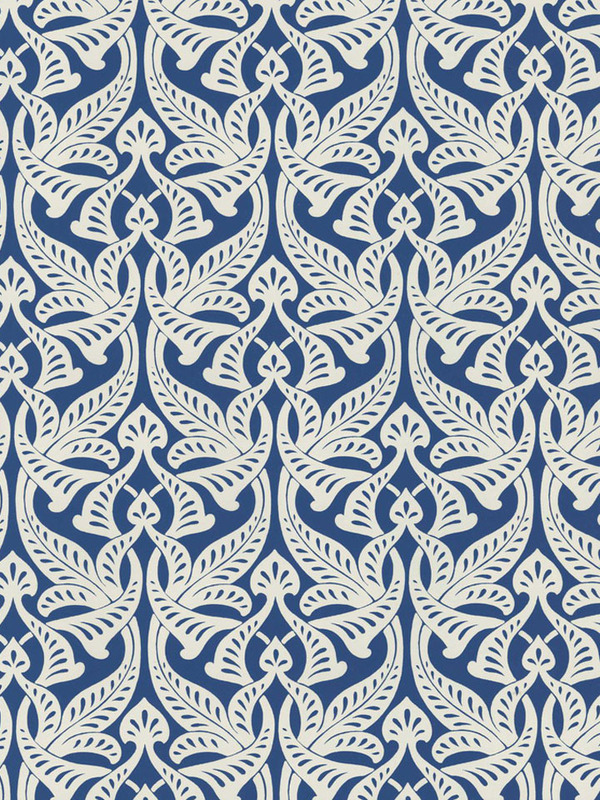 This wallpaper has a larger print, which I love, but has more white than blue, which I don’t love. 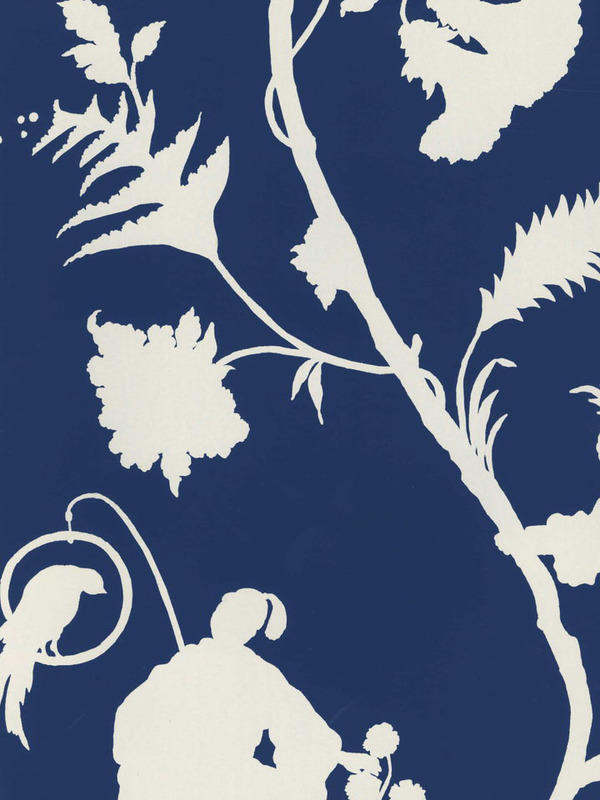 I think I REALLY love this chinoiserie navy print wallpaper but it’s sooooo bold. I’m just a little apprehensive but part of me says I should just take the pluge. I think this print, like first one, is too small and would make a guest to our half bath dizzy! !